After several transformations and changes in ownership, it found its current form full of subtle luxury. It provides excellent facilities for successful businesses as well as the building's crown jewel – the banquet hall. Reprez The banquet hall of the HOUSE BY THE PARK was built in 1896 and became the centrepiece of the entire complex. It patiently waited for its renaissance for more than a century – and now it's finally arrived. Thanks to a careful restoration, several adjacent areas were added to the hall, following the strict requirements of the original historicist style. 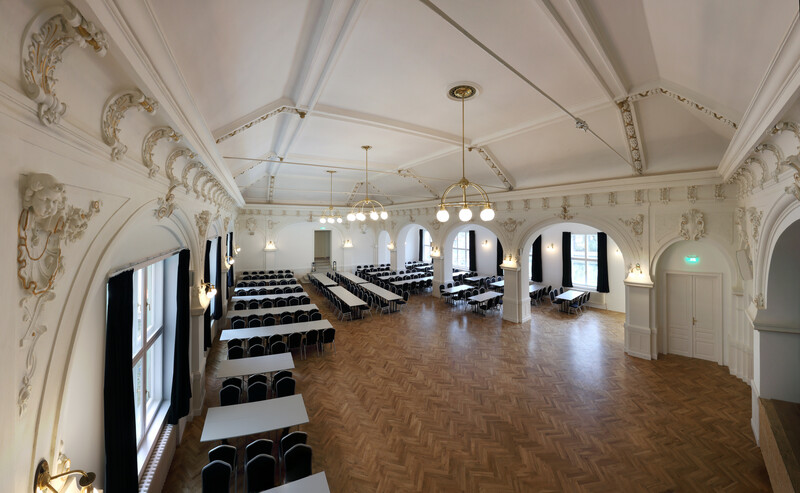 The result is a hall on the second floor of the building that can be rented for your events. 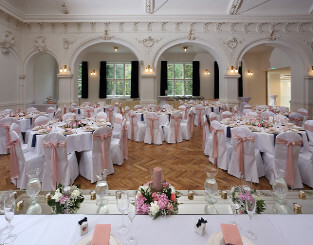 It is an ideal venue for weddings, parties and celebrations. Unforgettable experiences are not shaped just by the people you share them with, but also the environment in which they take place. A banquet hall gives every event an air of dignity and good taste. 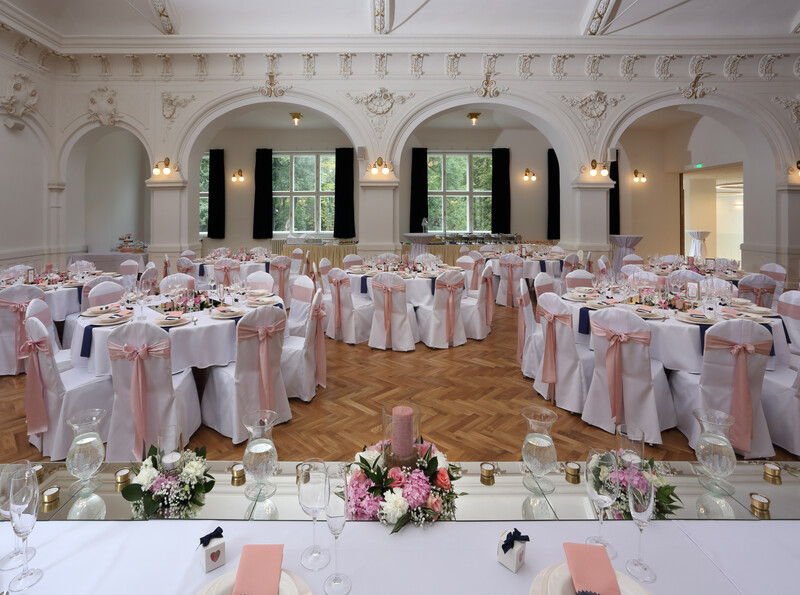 If you are looking for a venue for your events, our banquet hall can guarantee a magical wedding, lavish celebration or representative party that will be truly memorable. 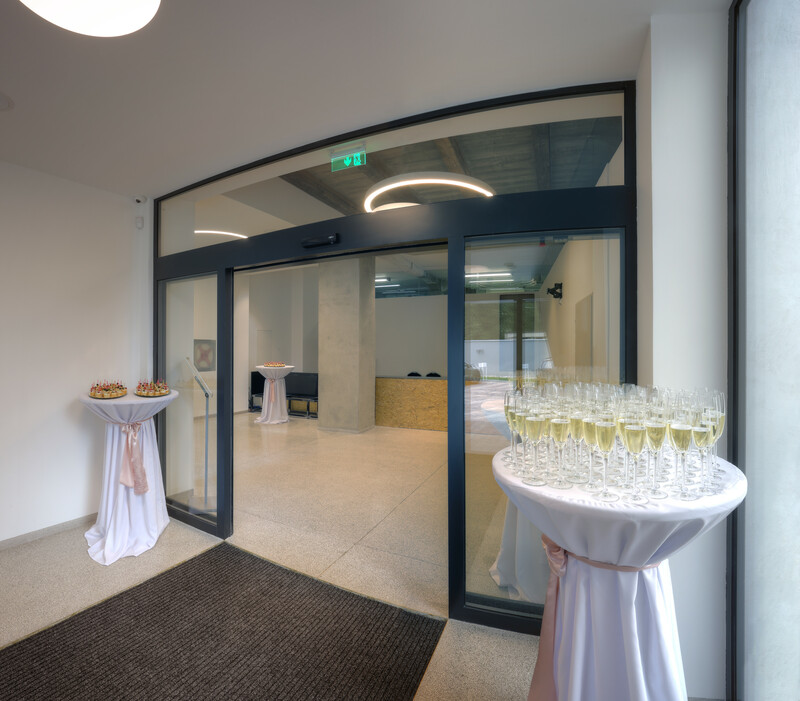 We will be happy to adapt our premises to suit the needs of your event. If you come up with specific ideas or an interesting concept, we will do everything we can to make your wishes come true. In the summer, you can take advantage not only of our banquet hall, but also relax in the park. 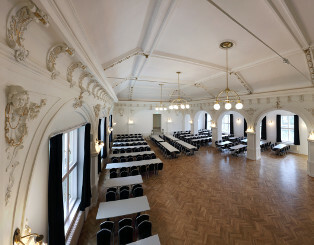 Depending on the seating arrangement, the hall can accomodate up to 340 guests. We will be happy to adapt it to your needs. Fully equipped hall with stage. Ideal for balls, weddings, conferences, meetings, workshops, discussions, concerts, exhibitions and much more. Use the services of our bar for your event. You won't have to worry about anything and you can enjoy the fun. There are another 25 seats in a separate room that you can use together with the hall. See the technical parameters of our representative hall. In case of any doubt or individual requirements, please do not hesitate to contact us, we will give you all the answers. If our representative ballroom drew your attention, do not hesitate to contact us. or we can directly schedule your event.